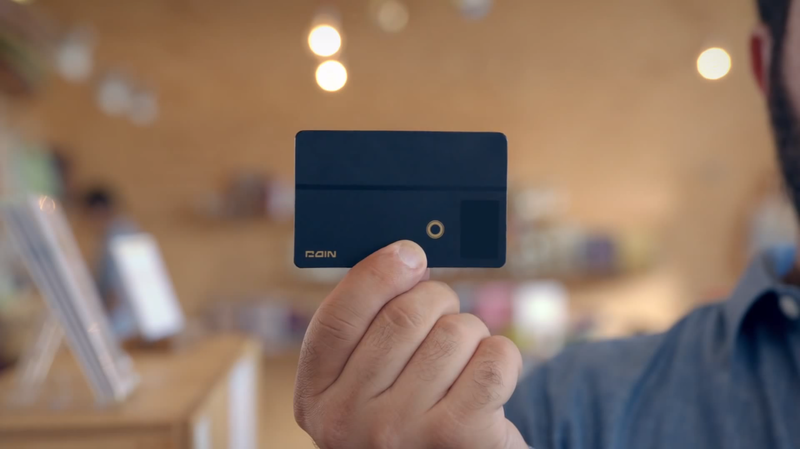 Coin: All Your Bank Cards In One! I blogged last month about this innovative Poo-pouri odour-eliminator spray. Now, let me introduce you this new product that’s already available in the US: Coin. Coin is a card like any other swipe-able one and it can be used as any debit, credit or similar card. You don’t need anymore to walk around with all those cards in you wallet, just keep Coin on you! With one button on it you can navigate through your cards and decide which one you want to use. How do you enter your cards on Coin? You will receive a device that you can plug on your phone and swipe through it your regular cards. You then take a picture of the card and give it a name so you can recognise it. All the synchronisation is made through your smartphone. Coin also offers a security feature: Once you are too far from your Coin card, your smartphone will notify you. They are both constantly connected via bluetooth. However, I am not really sure how this will perform in terms of your smartphone’s battery life. For the time being, Coin won’t work if you’re phone is off or ou of reach due to security reasons. This is one of the only drawback of this new card. Other potential threats include the fact that the company has no special agreement with any banking card issuer and the fact that some merchants may not accept the card as its design is very futuristic. The card is only available in the US for the time being and it will start shipping in Summer 2014. The original cost is 100$ but, if you pre-order it before December 24th 2013 you will benefit from a 50% discount. Click here to pre-order. Here is a great explanatory video about Coin! You should run an article on bitcoin. Yeah I was thinking about that when writing this article. Are you interested in an article about what bitcoin is and all the basics or is there any specific aspect of bitcoin you’d like to read about?